i love your book! i only wish we had elderflowers here in the northeast of the usa! thanks for the lovely book and blog! I know just what you mean about the citric acid it can actually be quite hard to find. Oh! My mother got asked the same questions when trying to buy citric acid at the chemists. She was told that it is used to cut cocaine with – something that confused her utterly and which I had to explain in great detail when she got home. On repeating the exercise in France she was very pleased that the French are far less suspicious (or perhaps more knowledgeable about sirop des fleurs). So a middle aged anarchist who makes gooseberry and elderflower jam! perhaps this shoud be included on your jam label. You could have just created a new market!!! Some people harvest gooseberries now and then they co-incide with elderflower although I think it is better to wait until they are larger, sweeter and really ripe. Red gooseberries make the most lovely ruby coloured jam. Best to grow your gooseberry bushes as espalliers or standards so that you can avoid the worst of the spiny thorns when gathering the berries from a low many branched bush. I thought you might be interested. 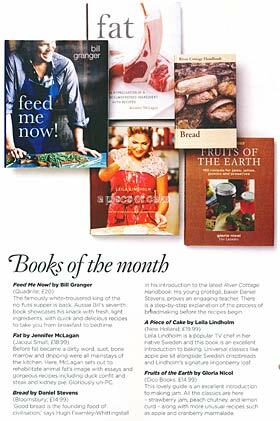 Your book has been very well reviewed in our lastest issue of NZ House and Garden Mag.Also your web site They say you’ve created the perfect combination of a cook book thats lovely to look at and utterly practical.The food editor has tried several recipes with great success. We are looking forward to our summer fruits. 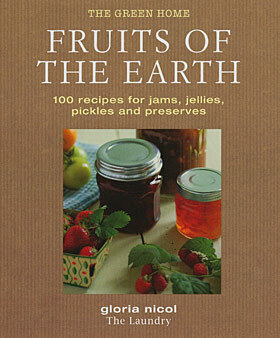 I have ordered your book so look forward to creating jams and chutneys. I am loving your website too.